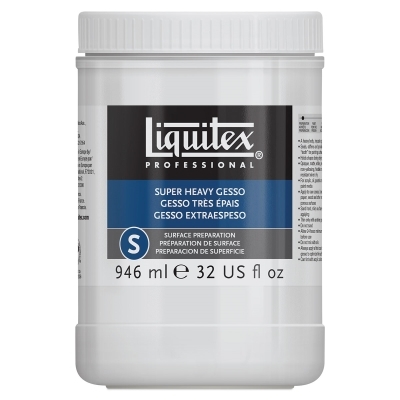 An innovative, impasto, Titanium White gesso that holds its sculptural shape until dry. Super Heavy Gesso has all the attributes of traditional acrylic gesso and is ideal for thick and sculptural applications with knife or brush. AP non-toxic.